Studio Ghibli has stepped back into the game developing scene (the last time being back in 2003 with Garakuda Studios to make Magic Pengel). This time around they’re working with Level5 studios, famous for the Professor Layton series, to create Ni No Kuni : Wrath of the White Witch, a J-RPG exclusive to the Playstation3 and released in the UK later this month. The game is set in the magical world of Ni No Kuni and revolves around thirteen year old Oliver who, along with a fairy called Drippy, travel across the enchanting world in order to save Oliver’s mother. Along the way Oliver will meet new team members; all with their own set of special skills. 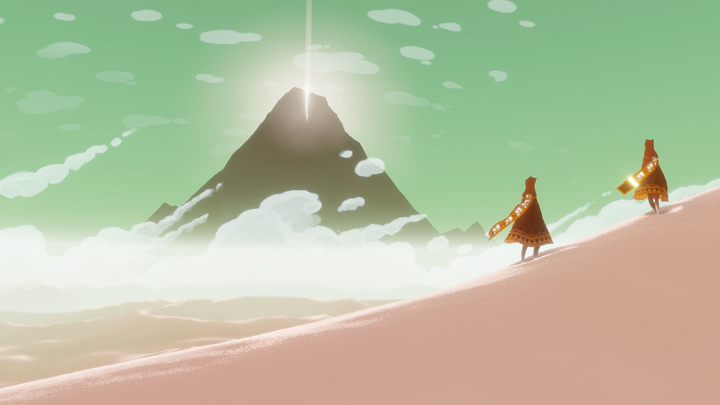 The demo was released on the PSN back in December, containing two sections that give players a glimpse into the games wonderful gameplay. There’s ‘The Deep Dark wood – An errand for old father Oak’ which shows of the over-world with its eagle-eyed view of the map , beautiful wide open landscapes and monster sprites roaming across the land. The over-world seems reminiscent of Dragon Quest 8, (which is no surprise as both games are developed by Level5 Studios). The part of the demo also shows you how players will interact with NPCs and how the locket mechanic works and how spells work outside of battle. Next there’s ‘ The mountain of Fire – Eruption interruption!’ which takes place later in the game. This part is a time trial in which you have to navigate Oliver up to the top of an active volcano in under 3 minutes whilst manoeuvring along the tiny pathways on the volcanoes side and dodging sudden bursts of lava from the wall.This part also introduces the villain for, Shadar ; an evil wizard with a deadly power that can corrupt a person’s heart. Both parts contain a boss battles that make use of an interesting battle system that fuses real-time and turn based components.You can battle as Oliver, or any of the familiars that he acquires through out the game; other members of your party will act off their own initiative using their own familiars, or you can either give them an order to act in a certain way, or control them directly, leaving control of Oliver up to the AI. 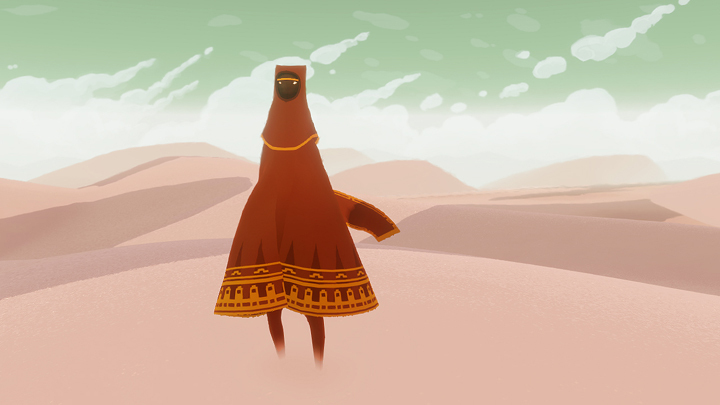 Before this preview ends I do have a few gripes about the demo, both are minor complaints though. I found the English voice acting to be rather annoying, but not completely terrible. Plus there’s always the option to use the Japanese voices with English subtitles which is a nice addition. Unfortunately that’s the other problem I came across; Drippy with the English voice acting has rather thick accent and they try to recreate this with the written dialogue. It can be annoying to read; especially if you have the Japanese voice acting on. In the end I found the Ni No Kuni demo to be fantastic, an amazing glimpse into what I hope will be a wonderful game. I have high hopes for the full version, which will be in stores on the 1st Febuary. 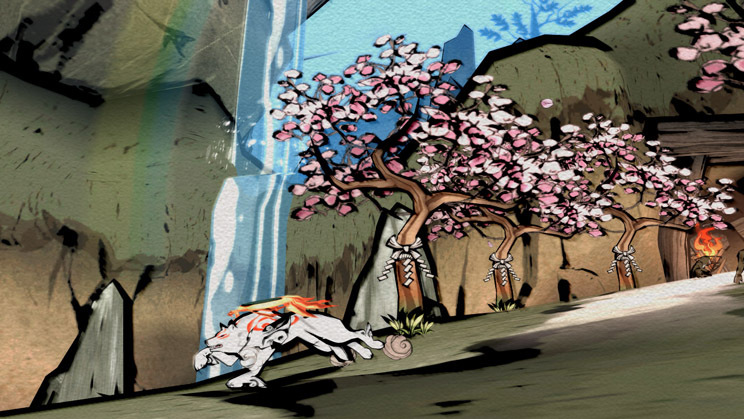 Okami HD is the remastered version of the PlayStation 2 title made by Clover studios and published by Capcom which was released in the UK back in 2006. Set in the ancient land of Nippon (Japan); you play as Amaterasu, the reincarnated goddess of the sun who has been sent back to earth. Together with your little sidekick, a woodland sprite named Issun, you travel across the country in order to destroy the malevolent forces that are wreaking havoc on the land and its inhabitants. 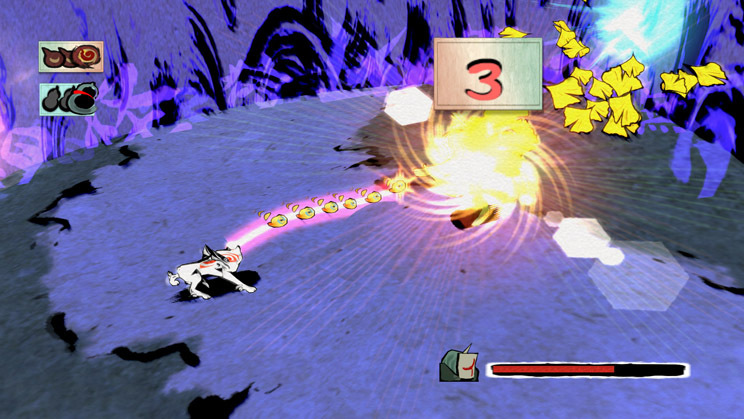 Over the course of the game you discover new locations, take on ferocious creatures and collect new powers for Amaterasu’s ‘Celestial Brush’, making better equipped to fight off the demons. So what has been added to the PS3 HD version? 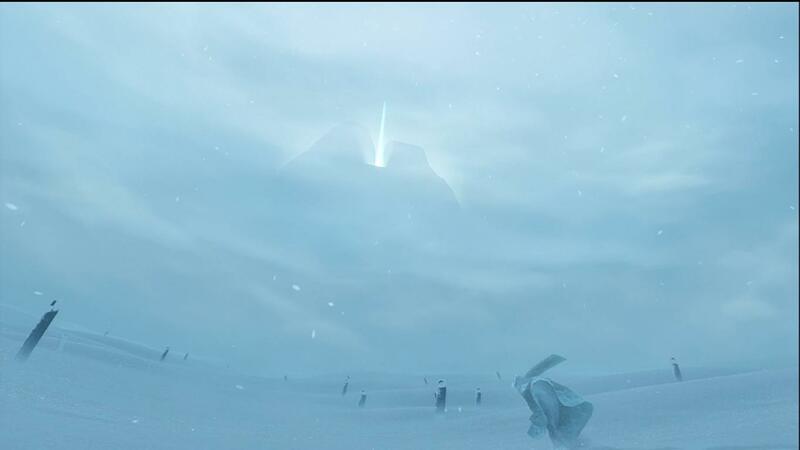 Well first up is obviously the graphics; the stunning sumi-e style art is back and now in glorious 1080p. Every detail is a lot clearer than both the PS2 or Wii versions with cut-scenes and gameplay continuing to be pretty much indistinguishable from each other. The music is elegant and fits perfectly with any setting, whether it’s a wide open field or the lair of a ferocious beast. The combat is an excellent combination of melee action and the Celestial Brush, making Amaterasu a force to be reckoned with. The brush can be used outside of battles as well. You can use it to with help solving puzzles or just so you can change it from night to day; the Celestial Brush is a handy tool. There’s also a levelling system for the brush. Doing good deeds or by defeating bad guys will give you ‘Praise’. The ‘Praise’ can then be spend on enhancing your brush or gaining another life orb. As it’s an HD remake on the PlayStation 3 the game wouldn’t have been complete without a trophy system. While some are challenging to get, most are just arbitrary achievements that you get for just playing the game normally, which to me seems pointless. 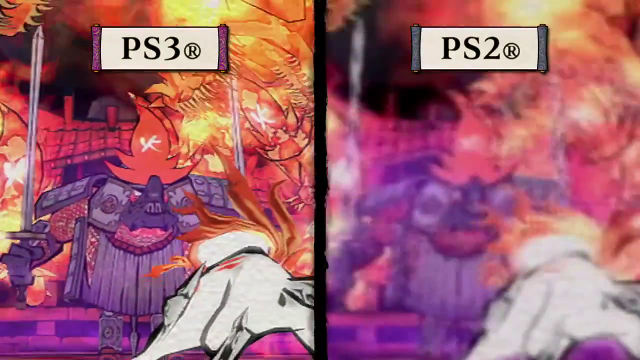 Speaking of pointless, Okami HD is compatible with the Playstation Move. 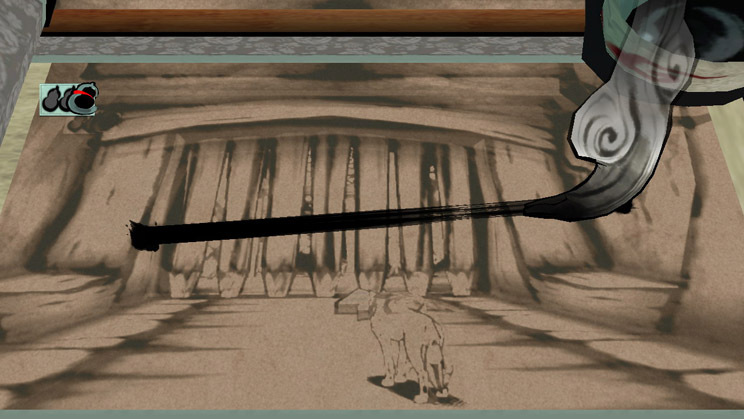 Now, I don’t own the Move controllers, but I did try playing the Wii version of Okami when came out in 2008. If the Move controller is anything like the Wii version of Okami then it may be better to steer clear. One last thing , I’m surprised that Capcom or Clover didn’t look into adding a remote play functionality for the Playstation Vita; considering the dual touch screens it seems like a fairly good idea; but oh well. 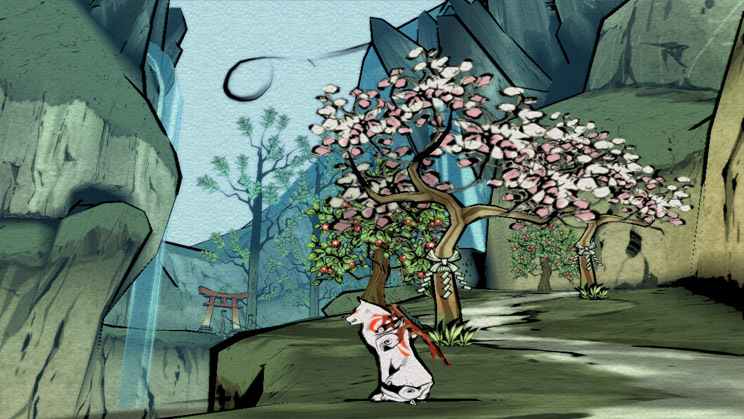 Overall Okami HD is brilliant remaster of a severely underrated PS2 game; Everything fits perfectly together to deliver a wonderful game that leaves me feeling nostalgic. With an interesting plot , breathtaking graphics and a wide array of diverse characters, this game will keep you entertained for a long time to come. Normally, I steer clear of shooters. I’ve never been that great at them and I find the storylines to be more about making the military seem like an amazing occupation, rather than showing people the horrors of war and the devastation it can cause. So, when I started hearing reviews of Spec Ops : The Line and its different approach to the modern military shooter, I decided “what the hell” and picked up a copy myself. Made by Yager Development and Published by 2K Games; Spec ops : The Line is set in Dubai 6 months after a cataclysmic sandstorm has destroyed the city. You play as Martin Walker, the Captain of the Delta Squad, which is comprised of Walker and his two partners Lieutenant Alphanso Adams and Sergeant John Lugo. Their squad is sent out to Dubai on reconnaissance in order to confirm the status of Colonel John Konrad, commander of the 33rd Battalion of the US Army, and any survivors, then radio for extraction. But as they make their way through the ruins of the city they discover that the 33rd Battalion has gone rogue and is committing increasingly harsh and brutal crimes against the civilian population with the stated intent of maintaining order. The gameplay is very similar to most modern shooters, get to cover and shoot. Your squadmates each have their own unique skill; Lugo will snipe any enemy you point at, whereas Adams will throw grenades, which can be helpful sometimes, but most of the time it’s easier to shoot them yourself as the AI has got fairly bad aim. There’s also a sand mechanic which, whilst interesting, is rarely needed. Some enemies will be taking cover near or under windows, shoot the glass and sand will fall on top of them and clearing the path for you. You can only carry one gun at a time, picking up new ones from enemy soldiers. Also, ammo is scarce, leaving the player to make every bullet count. The moral choice system is very clever, giving players the option to deviate from the standard good vs bad dialogue options and make their own choice. The aesthetics are well done as well. Despite being set in a war zone, some of the scenery is stunning and paired with the use of both an original score and licensed music sets the tone perfectly. There’s also a multiplayer mode made by Darkside Game Studios. It is set before Walker and his squad were sent to Dubai during the initial war between ” The Exiles” and “The Damned” 33rd infantry . There are several different maps and competitive game types, as well as community leaderboard’s and challenges. There is also a class system with four standard classes and a class that’s specific to the faction you pick : Officer , Sniper , Gunner, Medic and Scavenger for the Damned or Breacher for the Exiles. Overall I found that Spec Ops : The Line to be a very interesting game. Unlike a lot of shooters that make you feel like a hero for gunning down wave after wave of enemies, the game will make you think about your actions and what you could’ve done to avoid killing that enemy or how you handled that situation. In the end Spec ops was a pleasant surprise, full of interesting plot twists and a storyline that portrays Post Traumatic Stress Disorder (PTSD) and dissociative disorders very well. I’d recommend it to anyone who enjoys their shooters, but would like to see them evolve beyond the stagnant state they’re currently stuck in. As I mentioned it the last post, Nintendo had a separate show dedicated to their 3DS handheld. This time around, Scott Moffitt took to the stage and started off by mentioning The new Castlevania Lords of Shadow game : Mirror of Fate. The aesthetics look great, and it looks as if their trying to take some of the techniques that made the first Castlevania so great and implement them into this new title. Next up was Luigi’s Mansion Dark Moon. It’s nice to see Luigi getting a new game after such a long time; With multiple mansions to explore each with their own challenges as well as new types of ghosts, it looks like Luigi will have his work cut out for him this holiday season, when the game is scheduled to be released, as both a retail title, and a digital download. After that, Warren Spector and Peter Ong from Dreamrift take the stage to show us: Epic Mickey- Power of Illusion. Apparently this is an all new game: not a port or a sequel to the Wii game.Mizrabel (known better as Malificent), the evil witch from the original 1990’s game Castle of Illusion is trying to break out of her prison and takes Minnie and Mickey’s friends as hostage; Mickey will have to rescue them by using the touch screen to use both paint and paint thinner to make his way through the castle of illusion. I was pretty impressed by the style of this game, it;s both detailed, and yet manages to keep its cartoony atmosphere. There was a lot of other great titles mentioned throughout the show; like Paper Mario-Sticker Star , Kingdom Hearts 3D: Dream Drop Distance , Scribblenauts Unlimited , Lego Batman 2: DC Superheroes , Transformers Prime The Game, Rabbids Rumble and Heroes of Ruin. We were also reminded that the release of Pokémon Black/White 2 is only a few months away ; also that Kingdom Hearts 3D would get a demo released in the Nintendo E-shop at some point in the near future. Lastly Moffitt talked about New Super Mario Bros. 2. This new Mario game will allow players to complete the entire single player campaign with the help of a friend ( though I don’t I’m pretty sure that’s not what Single player means) whereas the 2-player single player mode allows you to play cooperatively or competitively ,there’s also new competitive mini-game “Coin Rush Mode” which will use the coins you collect in the main game.New Super Mario Bros. 2 will be available on August 19th as a retail copy or a digital download. 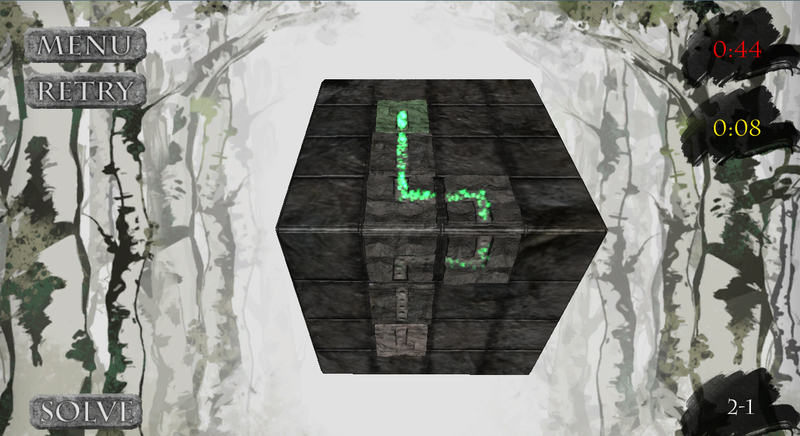 Loc is a 3d puzzle game from Birnam wood games released earlier this month, this is the studios first game. 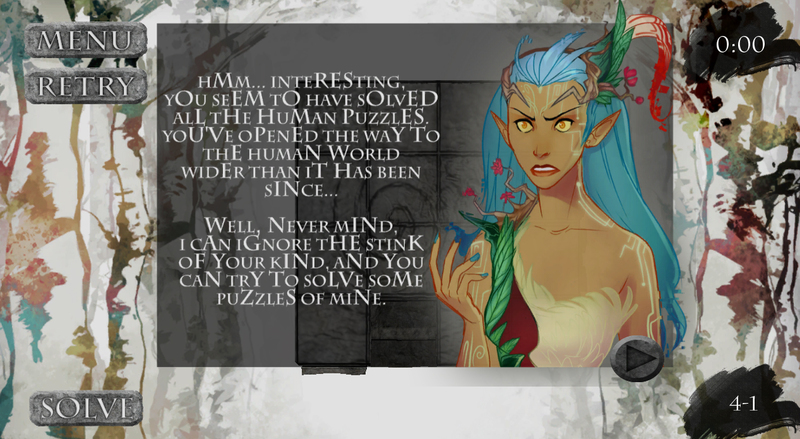 The games plot is really simple to understand; Humanity has caused so much damage to the earth that the last queen of the faeries has taken you prisoner and plans to keep you trapped in her realm as punishment for man kinds crime (Lucky you) ; In order to escape you must solve ‘Loc’ puzzles in order to make your way through the queens desolate realm and find your way out. The game play is a bit more complex; using your mouse you need to drag a series of tiles across a face of a cube to create a path between the start and end tiles. As you progress the game’s difficulty will increase, adding tiles that you must use in order to continue; it gets even harder when you have to start building the path across more than one of the cubes faces, whilst making sure that your using the right tiles to create a working path. There is also a list of achievements that you can earn if you complete the level under certain conditions which is a nice little addition. Overall Loc is a wonderful game,The art style is beautiful , the atmospheric music helps the player become more immersed in this intriguing setting that birnam wood games created. But why not try it out yourself, the game is available from their studios website Here for just over £3 ($5) and if your completely broke they even have a free demo.